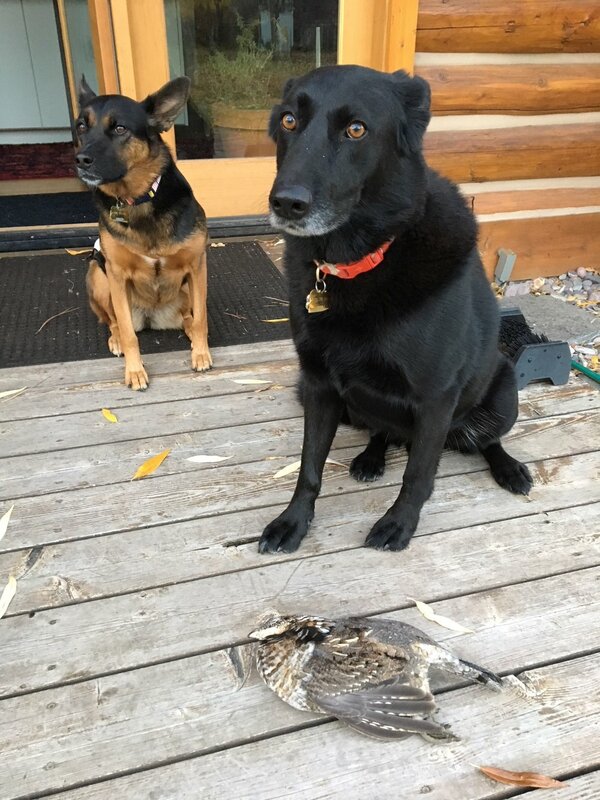 Our dogs Gus and Pika looking hilariously unsure of what they’d done: they saw a grouse feeding in the yard with our chickens last week, and ran out and killed it. We brined it and had our second-dog-killed grouse dinner. Delicious!